A new report from the U.S. National Academy of Sciences panel urges the creation of a new, independent group to help tackle research misconduct and other practices that hurt the enterprise. The issue is to raise awareness and get people to think about this seriously, institutions in particular. Research institutions need to have a much broader focus than fabrication, falsification, and plagiarism — one that includes detrimental research practices — if they are to really foster research integrity. Another way the committee hopes to foster research integrity is by asking stakeholders — including research institutions, journal and book publishers — to become members of a nonprofit, independent Research Integrity Advisory Board (RIAB). The RIAB could facilitate the exchange of information on approaches to assessing and creating environments of the highest integrity and to handling allegations of misconduct and investigations. It could provide advice, support, encouragement, and where helpful advocacy on what needs to be done by research institutions, journal and book publishers, and other stakeholders in the research enterprise. The RIAB would have no direct role in investigations, regulation, or accreditation; instead it will serve as a neutral resource that helps the research enterprise respond to challenges. 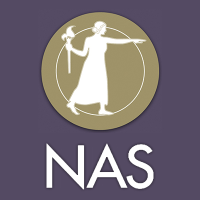 There is currently not any one organization in the U.S. whose core mission across all science disciplines is to foster research integrity, and the report recommends the establishment of such a body, that would be independent from government, outside of the National Academies, and play an advisory role (as opposed to a regulatory role) to the various entities and stakeholders that make up the science enterprise. The RIAB will hopefully increase the capacity of research institutions to do what they’re doing to ensure best practices. There’s a lot of knowledge out there, it’s just dispersed. You can’t just look at it as one individual who does something, you have to look at the entire system. It is important to recognize that the science enterprise is a complex, adaptive system, with a large number of inter-related components, including individual participants and stakeholders in the system, the systems and processes that define and influence the relationships between these various components. The behavior of various actors in science can’t be well understood without contextualizing that behavior within this complex system. Nobody even knows what the incidence of good conduct and misconduct is, after all these years. It would be helpful if there were a single set of standards. The report was many years in the making — the idea for it originated in 2012, the 20-year anniversary of the NAS’s previous report on research integrity, Responsible Science: Ensuring the Integrity of the Research Process. (That year, our own Ivan Oransky gave an invited talk to the committee about the issue in Washington, DC. The report also cites multiple Retraction Watch posts.) According to Gunsalus, the committee took longer than expected to release the latest report — Fostering Integrity in Research — because it took a long time to review everything that had changed since 1992, as well as all the issues that have arisen regarding reproducibility. -Detrimental authorship practices that may not be considered misconduct, such as honorary authorship, demanding authorship in return for access to previously collected data or materials, or denying authorship to those who deserve to be designated as authors. -Not retaining or making data, code, or other information/materials underlying research results available as specified in institutional or sponsor policies, or standard practices in the field. -Neglectful or exploitative supervision in research. -Misleading statistical analysis that falls short of falsification. -Inadequate institutional policies, procedures, or capacity to foster research integrity and address research misconduct allegations, and deficient implementation of policies and procedures. -Abusive or irresponsible publication practices by journal editors and peer reviewers. Federal regulations are a floor, they are not a ceiling. -Research institutions and federal agencies should work to ensure that good-faith whistleblowers are protected and that their concerns are assessed and addressed in a fair, thorough, and timely manner. – Societies and journals should develop clear disciplinary authorship standards. Standards should be based on the principle that those who have made a significant intellectual contribution are authors. Significant intellectual contributions can be made in the design or conceptualization of a study, the conduct of research, the analysis or interpretation of data, or the drafting or revising of a manuscript for intellectual content. Those who engage in these activities should be designated as authors of the reported work, and all authors should approve the final manuscript. In addition to specifying all authors, standards should (1) provide for the identification of one or more authors who assume responsibility for the entire work, (2) require disclosure of all author roles and contributions, and (3) specify that gift or honorary authorship, coercive authorship, ghost authorship, and omitting authors who have met the articulated standards are always unacceptable. Societies and journals should work expeditiously to develop such standards in disciplines that do not already have them. -Through their policies and through the development of supporting infrastructure, research sponsors and science, engineering, technology, and medical journal and book publishers should ensure that information sufficient for a person knowledgeable about the field and its techniques to reproduce reported results is made available at the time of publication or as soon as possible after publication. -To avoid unproductive duplication of research and to permit effective judgments on the statistical significance of findings, researchers should routinely disclose all statistical tests carried out, including negative findings. Research sponsors, research institutions, and journals should support and encourage this level of transparency. -Government agencies and private foundations that support science, engineering, and medical research in the United States should fund research to quantify, and develop responses to, conditions in the research environment that may be linked to research misconduct and detrimental research practices. These research sponsors should use the data accumulated to monitor and modify existing policies and regulations. The use of or and Oxford comma are so confusing. For instance, is ” [..] revising of a manuscript for intellectual content” enough to merit authorship? It is interesting that “demanding authorship in return for access to previously collected data or materials” is considered a “detrimental research practice”. Many clinical researchers would surely balk at such a definition. – and much clinical research would perhaps collapse if clinicians felt that their efforts were not rewarded…. How does that jibe placing an entire volume behind a $64 publisher’s paywall? $64/volume would be a steal compared to the $35/article demanded by several majors. The NAS report devotes an entire chapter to protecting whistleblowers, but the report will not lead to greater protection of whistleblowers at universities. Why? NAS leaves in place the differentiation between honest error and misconduct. Who decides the difference? Universities. Any real misconduct can be minimized as “honest error” by the university. Once this occurs, the whistleblower is vulnerable to an assortment of retaliation. To make this even worse, NAS promotes the idea that there are good faith and bad faith whistleblowers. Yet, it is the university that gets to decide whether a whistleblower is acting in good or bad faith. A university declaring a whistleblower to have acted in bad faith is all that is required to justify retaliation. And most retaliation is much more subtle. What is required to truly protect whistleblowers? -all investigations into research misconduct using federal research dollars need to be investigated initially by the federal government. Universities have too great a conflict of interest in their investigation. -all differentiations of good-faith and bad-faith allegations need to be removed. If an institution believes that a person made an allegation in bad faith they can ignore future allegations or publicize their opinion of bad faith, but it cannot be a pretext for punishment. -there also must be a clear differentiation between what is considered an “honest error” and what is research misconduct. By federal definition, intent is not important and NAS was wrong to focus on this. Reckless FFP is still misconduct. Honest error is currently too broad a category that can be used to excuse real misconduct. If a distinction between the two cannot be drawn objectively, then the distinction must be removed. -To promote good behavior, there must be a threat of massive penalties for retaliation. In Denmark, the official guidelines used to distinguish between negligence and gross negligence, the latter a sign of scientific misconduct to so poorly qualified that it mimics intent. The distinction has led to several court cases in which non-scientist lawyers and justices did not understand the difference. It has now been removed or rather referred to universities to deal with incompetence that is therefore not proof of lack of integrity, i.e., you may be stupid but you are not dishonest. Next Next post: A diabetes researcher sued his former employer for defamation. Here’s the story.